SuccessMaker® Math is a confidence maker! It delivers adaptive and prescriptive math interventions, reducing student frustration and accelerating progress. 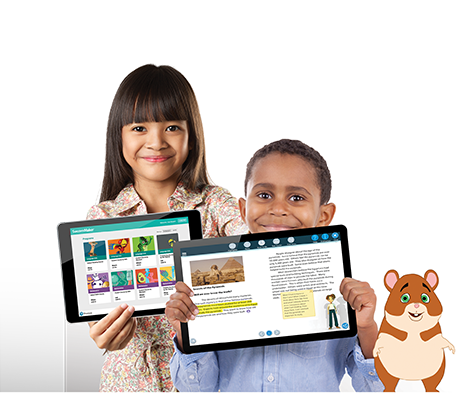 Now SuccessMaker Math includes next-generation multi-step problems, performance tasks, full print lessons, ShowMe Cards, and a Teacher’s Resource Guide. There are Spanish translations and audio too. It’s the best SuccessMaker yet. It all adds up to math success. Students always receive the practice they need. Adaptive motion continuously makes adjustments based on course content and student performance. Several scaffolding techniques are used to support comprehension and retention throughout the instructional model. Students spend only as much time as they need on any one concept. Multi-step, real-world math problems and performance tasks help students think logically, make choices, plan, and persevere. Students learn how to approach a problem, preparing them for life outside the classroom. Target Skills Online—or with Worksheets! 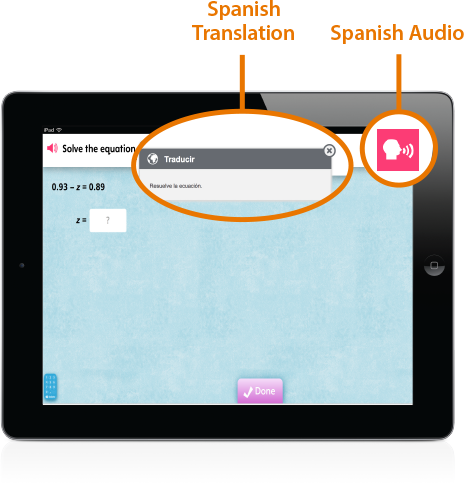 SuccessMaker Math provides flexibility for your classroom. 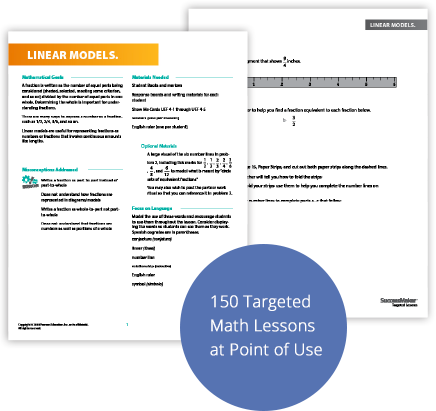 Download math lessons and worksheets, or purchase them separately. Assign for remediation, enrichment practice, and homework. Encourage biliteracy! Support English language learners. Students can switch between languages at any time. Spanish translations and voiceovers prevent language gaps. This is 21st century SuccessMaker. 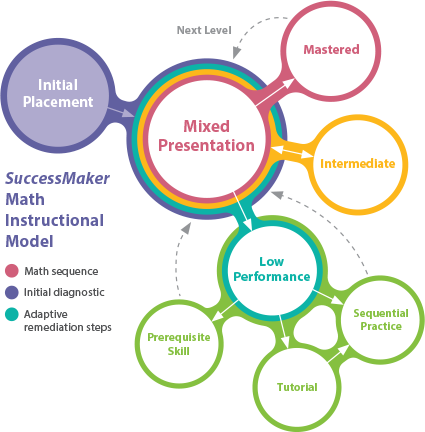 SuccessMaker provides students with multiple opportunities to connect their work to mathematics concepts.